Lord of the Rings is an epic trilogy written by J.R.R. Tolkien. He was a christian man and many of the tales he woven were filled with Christian themes. Thankfully Peter Jackson the filmmaker behind the most well known cinematic version of the tale kept those ideals in tact. He also worked on the prequel book The Hobbit. The Hobbit follows Bilbo Baggins, the hobbit, to steal the Arkenstone from the the dragon Smaug for the The King Under the Mountain, Thorin II. If you followed the movies in the third movie of The Hobbit series, The Hobbit The Battle of Five Armies you would see that they finally make it but Thorin comes to a grave illness. An illness that many people could be susceptible to. Dragon Sickness. The young ruler amassed the amount of wealth that he felt that his earthly treasure was more important than the heavenly treasure he could have obtained if he followed Jesus. Thorin was beginning to make that same mistake in The Hobbit. There was a battle going on and instead of being a great ruler his greed consumed him and he saw that doing the great thing of helping the humans in Lake Town that helped him to his throne and that he aided in having destroyed their home thanks to the dragon Smaug. 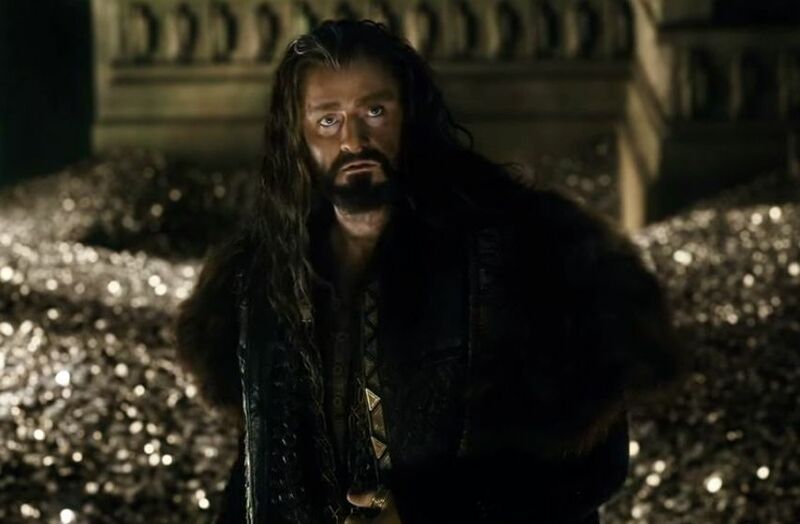 Eventually and thankfully, Thorin did the right thing and he aided in the battle against the army of orcs and just his entrance alone increased the morale for the side of good. So now I may ask you, do you want to have eternal life. Many of us follow the ten commandment. We don’t steal, kill, or lie. We honor our parents even though it may have been a bit more difficult in our more formative years. But are we able to sell everything we have give to the poor so that we can collect our treasures in heaven. We can live the rest of our lives in complete blessings in the heavenly spaces with Jesus. We may look at what we have but we should never forget that everything we have God have given us (Phil 4:19) and we should be great stewards for what God have given us. (1 Pet 4:10). Well I hope you make the right choice. Heavenly Father, we all may suffer from a bit of “dragon sickness”. However I am thankful that I know now what I need to value in life to gain eternal life. I am so thankful that You have guided me in the right direction so I maybe a better person. I promise to be a blessing to others in many ways including financial for I know my blessings come from You. I am thankful for what you have blessed me with already and I promise to be a good steward and a cheerful giver. In Jesus name, Amen.